As the Operations Manager of the hotel it’s my responsibility to oversee that the fire alarm systems and devices. 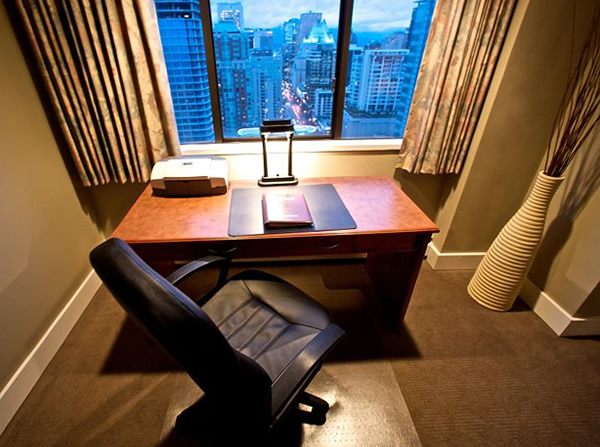 Guests can rest assured that the hotel has top notch equipment that will keep them safe. Part of the system includes a sprinkler system with sprinkler heads in every room. Of course not everyone knows about sprinkler heads are and how they work. Most heads have a thin piece of glass that when broken, from heat or otherwise, begin the flow of water. For this reason we ensure that every head has a sticker advising not to hang anything of any sort on it. It was a Saturday and I was on my way to the movies with the kids when I got the call at home. A guest had ignored the sign and hung their clothing on the sprinkler head and sure enough broke the glass. Litres upon litres of water poured out and continued to do so until the water was turned off. A sprinkler flow of water is not like the water from a bathtub. If you’ve every seen a fire hydrant pouring out water, this is the amount of water and pressure that comes out of one of these things. When I arrived at the hotel I expected a flood, a mess and several staff members waiting for direction. However I was greeted by a man with no shoes, no socks and pants curled up wading in water. It was the General Manager of the hotel! A fellow typically found in well dressed suits poring over reports and leading meetings. He was right there with us. A talented leader. How to you get rid of six inches of water covering the floor of a hotel room? Leave it to the boss to think of this one. Remove the toilet from its base and use the existing drain, ingenious. Eventually the mess was cleaned up, furniture, carpet and walls replaced. The flooded hotel room never looked better and a couple of weeks later we were back in business.